What has the brilliant Oxford Reading Tree scheme brought you lucky folks this time? Wow! Fabulous flashcards for phonics fun with Floppy the big yellow dog! To get good with words, children need to understand how distinct sounds combine and blend together to make all kinds of words. 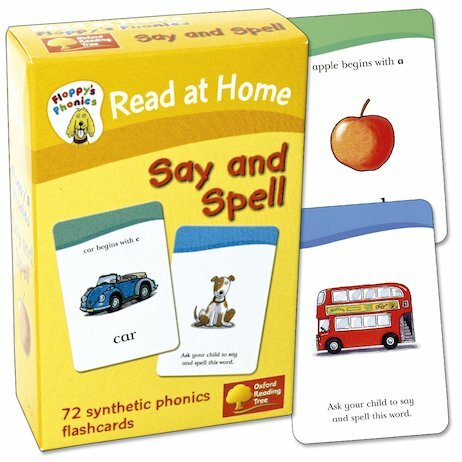 These fun flashcards are full of games which show exactly how it works. Whether you’re combining letter sounds to make words, rhyming words out or matching sounds together in a fast-paced game of snap, our scruffy doggy friend Floppy helps you to grasp phonics in a flash!